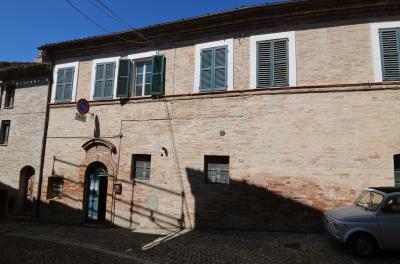 In the historic centre of Ripatransone, House for Sale of 135 sqm with private garden. From the main entrance on the ground floor, you enter on the living area with kitchen and fireplace as well as wc and stairs leading to the upper floor where there is a bedroom, closet and bathroom. From the living room you can access to a small garden of 25 sqm about to be able to stay during the summer. The basement of about 45 sqm., accessed an internal staircase or external input, we find a storage and wc. 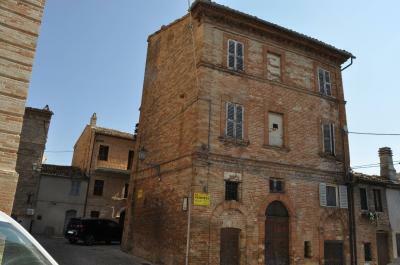 The property in question is in excellent condition having been restructured, equipped with central heating, wooden window frames with double glazing, single-firing in the night and day, wooden shutters, roof beams exposed wood. 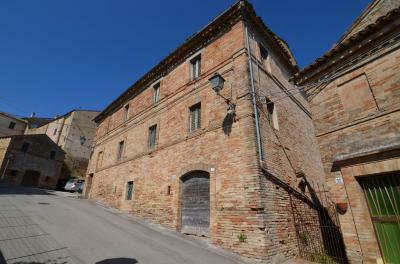 Located within the historic center, this property ensures independence and centrality, with beautiful sea view.